or get 15% off when you order any 12! Westerly Happy Canyon Santa Barbara Cabernet Sauvignon 2010 - U.S.A.
Westerly has built an enviable reputation for fashioning balanced, complex Cabernet Sauvignons. 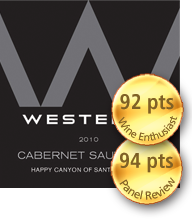 The 2010 Westerly Happy Canyon Cabernet hails from a superb vintage and is nothing short of outstanding. Bottled un-fined and un-filtered, this classically styled Cabernet Sauvignon offers rich substantial flavors: Bing cherry, blackberry, cedar, dark chocolate and aromatic herbs all make their appearance in this irresistible Cabernet Sauvignon. The unanimous choice of our tasting panel, no other Cabernets we tasted came close to the 2010 Westerly Happy Canyon Cabernet. Enjoy it now and for the rest of the decade. 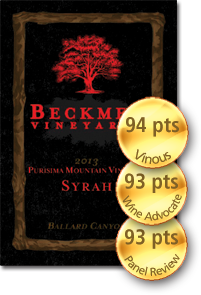 Beckmen Purisima Mountain Vineyard Ballard Canyon Syrah 2013 – U.S.A. The newly released 2013 Beckmen Ballard Canyon Syrah positively sings from the glass. Produced from estate fruit in Ballard Canyon, hallowed ground for California Syrah, this wine is aromatically enchanting and crammed with flavor. Although big-boned and still in its infancy, Beckmen’s 2013 Ballard Canyon Syrah exhibits a smooth, polished feel as well as plenty of deep down berry and woodland flavors – all of which are framed by fine grained, perfectly ripe tannins. 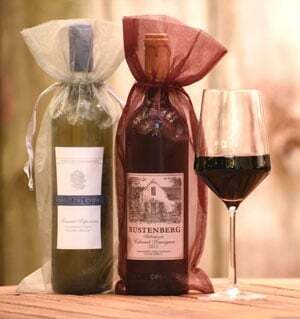 This wine enchants now and will offer great drinking pleasure for the next 10 years or more. It will be hard to beat the Beckmen Syrah in what is shaping up to be a great vintage for California Syrah. 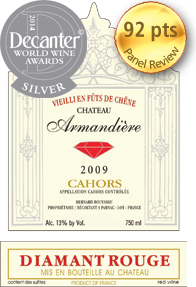 Château Armandière hails from Cahors in southwest France, the original home of Malbec. This chateau’s special Diamant Rouge selection is a traditional Cahors wine made from 100% Malbec cultivated on 9 acres of gravelly slopes on the upper terraces of Cahors, high above the river Lot. After tasting the 2009 Diamant Rouge, the many one dimensional Malbec offerings from Argentina just won’t do. In flavor, finesse and complexity, Chateau Armândière’s Diamant Rouge is in a class all by itself and is ideal for drinking now. Given the tiny production of this wine, the 2009 Diamant Rouge is a North American exclusive of The International Wine of the Month Club. The Dampierre family have been proprietors in Champagne for over 700 years, making Dampierre one of the last of the great family owned Champagne houses. 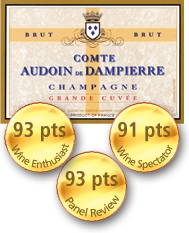 Dampierre’s specialty is their traditional, non-vintage Grande Cuvée Brut, a serious, complex Champagne that offers a delicate and persistent mousse, exquisite texture, and delicious fruit: apple and toasted pear flavors infused with pinpoint minerality render Dampierre’s Grande Cuvée irresistibly delicious. Both zesty and compelling in aroma and flavor, the Dampierre Grande Cuvée can be enjoyed at any time of day or evening, with or without food. Benovia Russian River Pinot Noir 2013 – U.S.A. 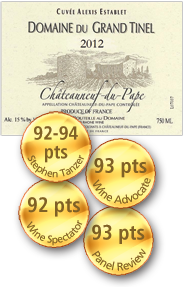 Previous vintages have all notched 90+ points from major publications, and though the 2013 is currently unrated as of this writing, it blew our tasting panel away, garnering 93 points. Benovia enjoys an enviable reputation for producing bold, beautiful Pinot Noirs of impeccable balance. With the newly released 2013 Benovia Russian River Pinot, this gem of an estate not only lives up to its reputation, it over delivers. Bright red fruit aromas in the guise of raspberry and Bing cherry leap from the glass the moment the wine is poured. Cinnamon, nutmeg and the heady scents of baking spice join with the wine’s heady fruit flavors and fine grained tannins to make drinking this wine a thrilling ride. 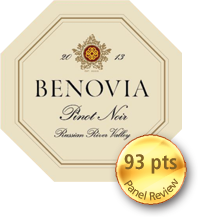 Packed with flavor and highly extracted, the 2013 Benovia Russian River Pinot displays an equal degree of elegance and panache to complement its deep down flavors – a Pinot not to be missed. Limited Availability. This sale is complete and we're no longer accepting orders. Thank you to all who ordered - enjoy your wines!